The NSW Women’s Breast Centre at the Royal Hospital for Women provides state-of-the-art diagnosis and treatment of breast conditions. The Centre cares for more than 2500 women a year and aims to provide seamless, holistic care for each woman and her family. As one of the leading breast services in NSW, the Centre offers a convenient and holistic service for women who need investigation of a breast symptom. A professional team of staff including radiologists, radiographers, surgeons, breast physicians, psychologists, genetic counsellors, oncologists and nurses will support patients throughout their treatment and care. To support the incredible work of the NSW Women's Breast Centre make a donation below. 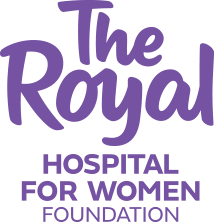 Your donation will impact the thousands of women who are treated at The Royal each year for breast cancer.